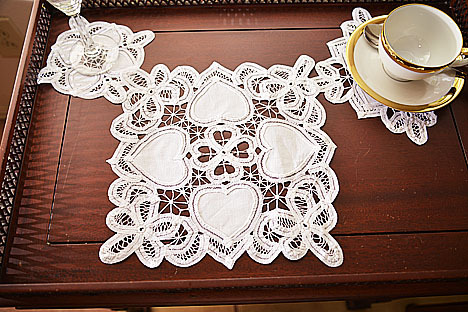 Battenburg Lace doilies with Happy Hearts Designs.. 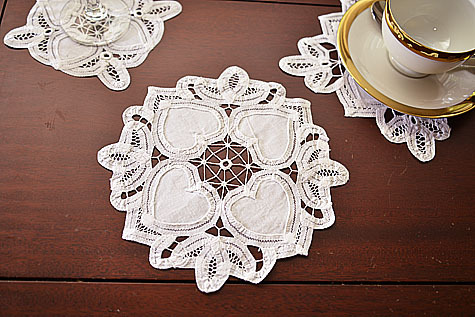 Round Happy Hearts Battenburg lace doilies. Square Happy Hearts Battenburg lace doilies. Happy Hearts Style. Round 10". White color. Please click on a picture for more sizes and prices. Happy Hearts Style. Square 10". White color.